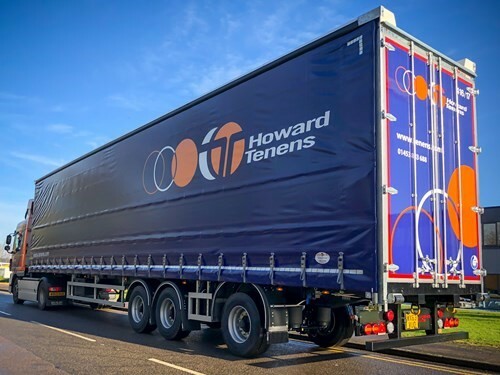 Howard Tenens has recently received a batch of 6 Pillarless Curtainsider trailers from Lawrence David. 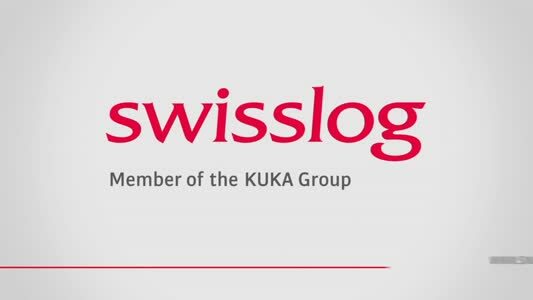 They join a fleet of around 400 assets, the majority of which are owned by themselves, and will mainly be used for network trunking and transport. Howard Tenens are leading the charge when it comes to environmental performance within the industry. With on-going trials of alternatively fuelled vehicles, these LST’s bode well with their aim to be the leader in sustainable logistics. The Howard Tenens colour scheme has been applied to the front bulkhead and the EN 12642-XL rated curtains, which surpass European load securing standards. A galvanised steel full width top damage protector has been installed to increase the lifespan of each trailer. 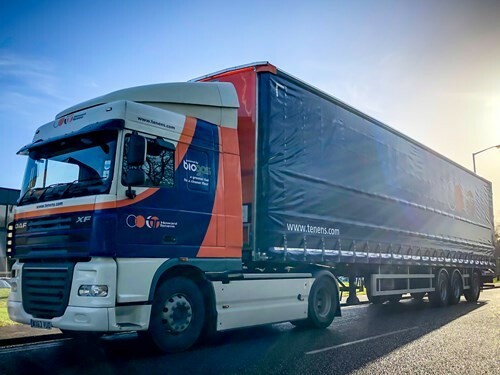 Operators can capitalise on the cost-saving benefits of the longer length semi-trailers which include a self-steer axle to assist with manoeuvrability. Additional features include the JBX 80 toolbox which can hold loads of up to 75kg, allowing for storage of many tools and extra straps. A pull-out ladder with top platform provides easy access to the rear. At the rear we see soft docking sensors, which automatically activate the brakes when the vehicle is too close to a loading bay.